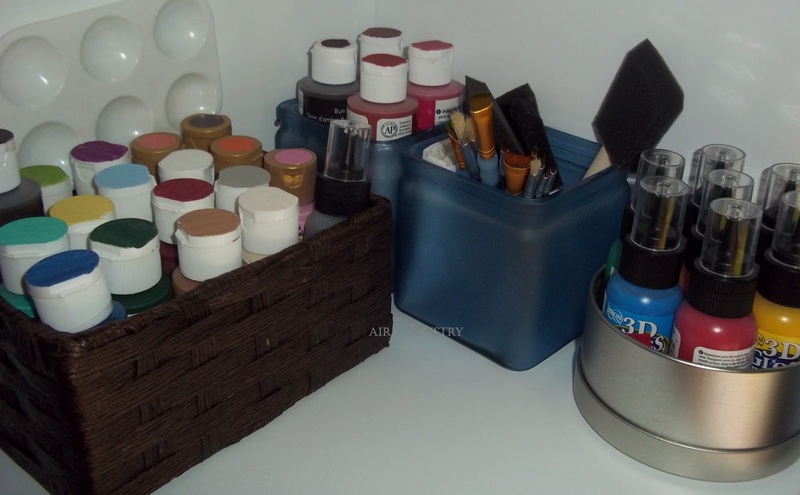 Did you miss Part One of my craft room organization? Be sure to check it out here! 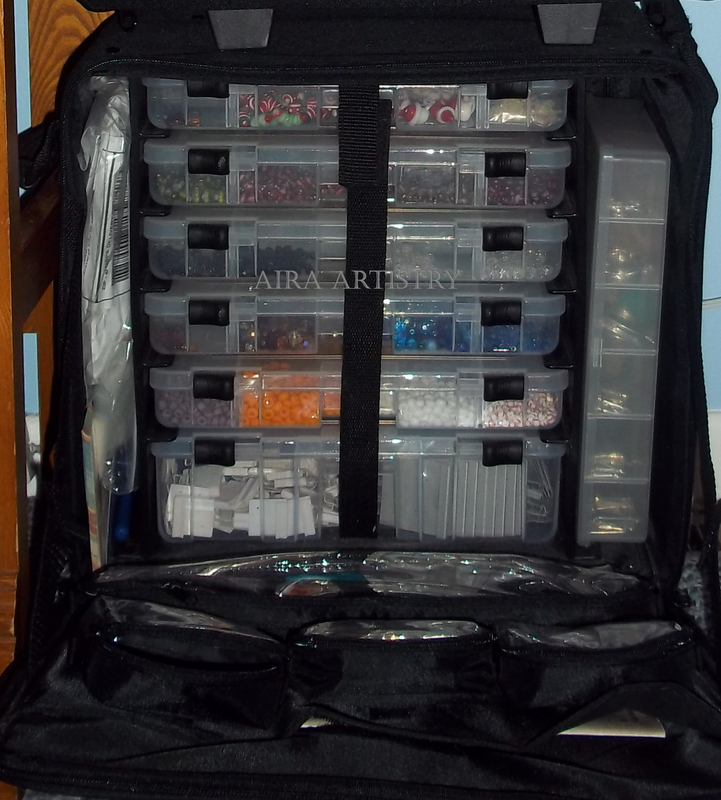 My crafting storage needs have expanded a lot over the course of the past year. 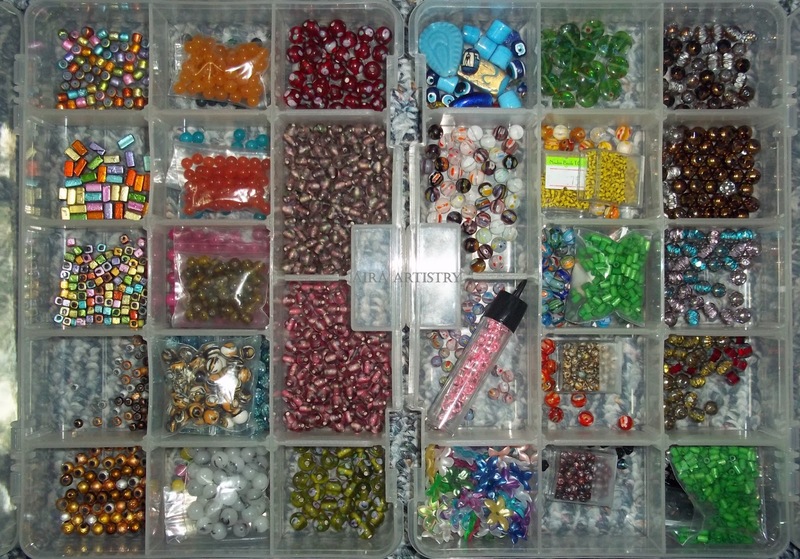 Not only does my bead collection continue to grow, but with me adding in other projects such as hair clips and activity boxes, I seem to acquire more and more varying items every day. While looking around for some storage ideas on Pinterest the night before my last IKEA trip (it’s a 4-hour drive downstate to the closest one, so you make sure it is worth the time! 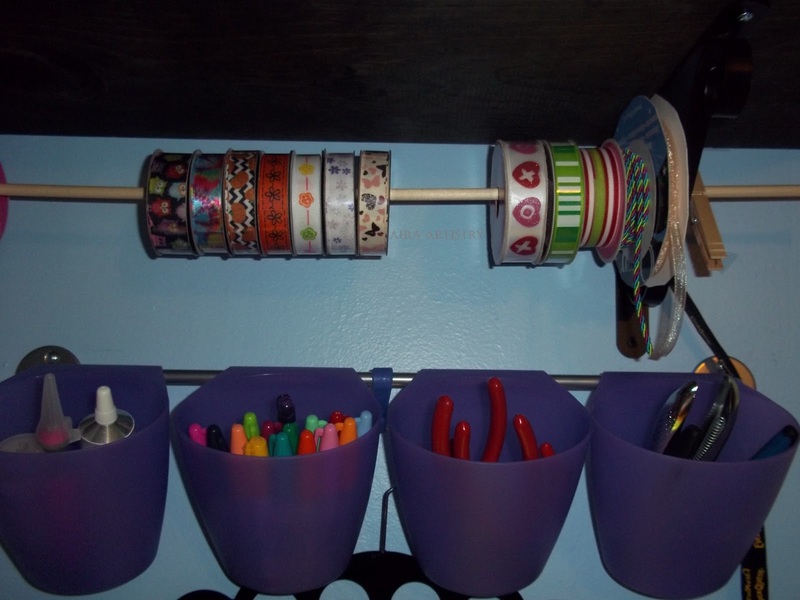 ), I saw a few rooms that used magnetic boards and pails hanging on rails. I cross-checked them on IKEA’s site and figured out which would be best suited for my corner of a room. In the end I settled on a Spontan magentic board paired with Grundtal containers. The board is just large enough to evenly fit 21 of those containers, which is seven packs of them (they come in packs of three). These containers hold a respectable amount in them! 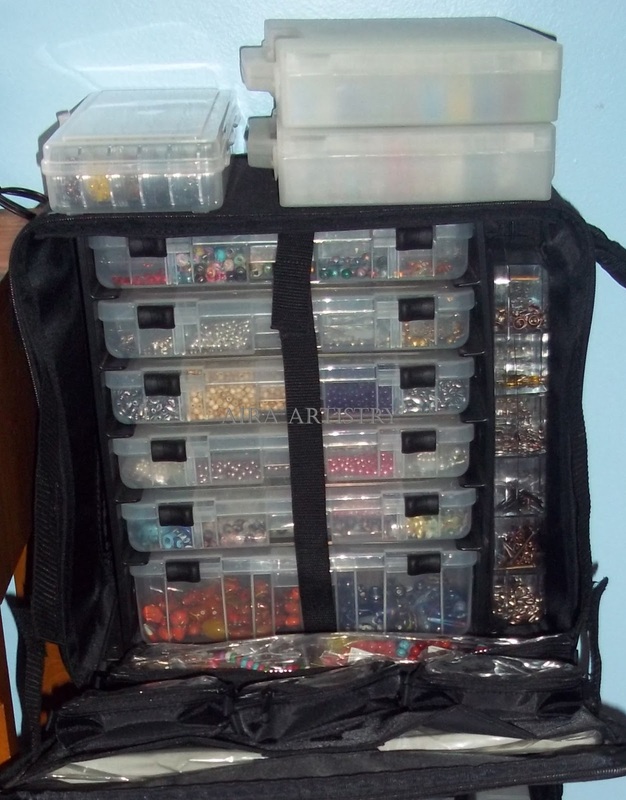 I fit every single one of my embellishments for hair clips and bottlecaps, and even extra buttons and some other assorted items inside of the containers. Next I looked into the Bygel rails and containers, and even decided on a basket and a couple packs of S-hooks while I was at the store. The smaller rails (21 3/4″) were all that would fit into my area, but I was able to get three of them squeezed in. Color selection for the containers was lacking at my state’s IKEA: there was only red, pink, and purple, while I was hoping for black and/or white. I ended up settling on the purple, which did does look quite nice in the room. The containers are holding various longer items such as my bottlecap hole puncher, beading tools, Sharpies, Exacto knife, epoxy, and more. 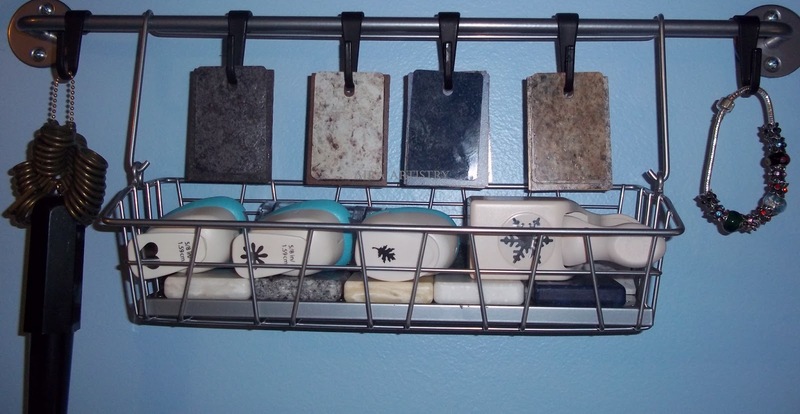 I wasn’t sure what I’d use the basket or S-hooks for when I bought them, but they ended up being a handy spot for some hole punches, countertop samples, and mandrel. These were items previously crammed into a box thrown on a shelf, so it’s nice to finally have them out in the open! 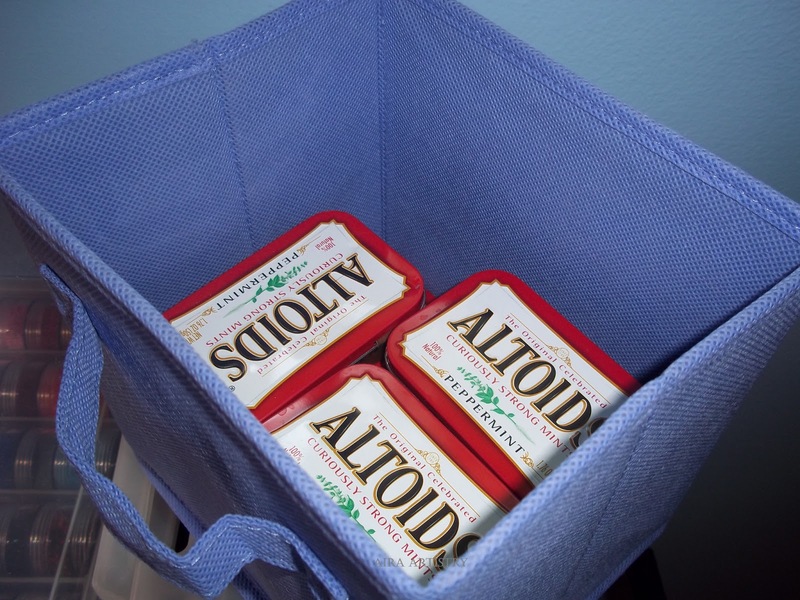 I mentioned in my first room organization post that I obtained my Crop in Style containers (rolling bead holder) from Jo-Ann Fabrics. Over the years I eventually ended up with two of them, after being patient and waiting for them to be at least 50% off with free shipping. They’re still pricey even at that point, but are well worth it, especially if you work on your beading during craft shows. 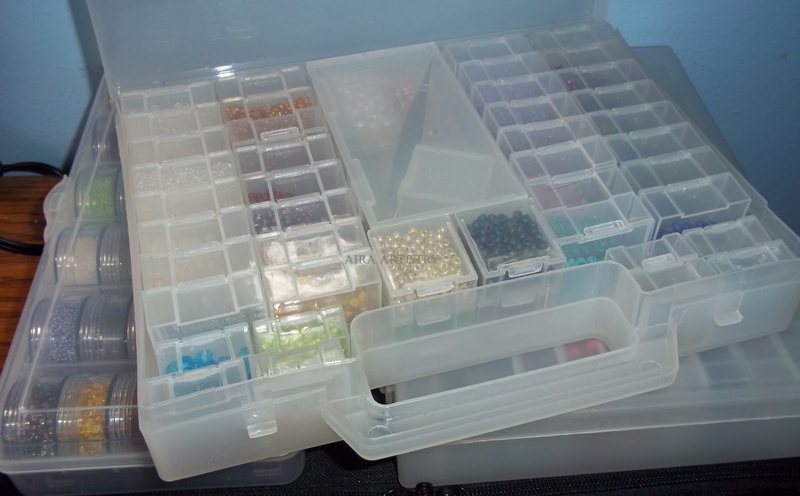 I also picked up a few more smaller bead cases from Michaels last year. These include a seed bead holder (with twist-top tubes inside), a holder dedicated to my pony beads, and a holder with all my random beads from the three Mr. Kitty’s Bead Bonaza mixes I’ve purchased. No joke on the Mr. Kitty’s mixes–it’s an actual item you can buy on Amazon (though I doubt a cat is involved, but you never know with our feline overlords), and it’s a blast finding out what you get each time. Usually there’s even one small length of ribbon or elastic (about a yard?) or some such in it. The first ribbon I ever used to make a hair clip came from one of these mixes. Ah, I’m rambling. Here, enjoy a few more pictures of my beading collection before I move on! This isn’t *quite* everything else, but I doubt the world is interested in what I have in every nook and cranny. Heck, I forgot to take a picture of the basket holding my massive artificial flower collection that’s awaiting being transformed into hair clips. I’ve picked up random containers from all over, really. Three things appeal to me: price, look, and usefulness. If I think it meets all of those qualifications, then it’s likely coming home with me. 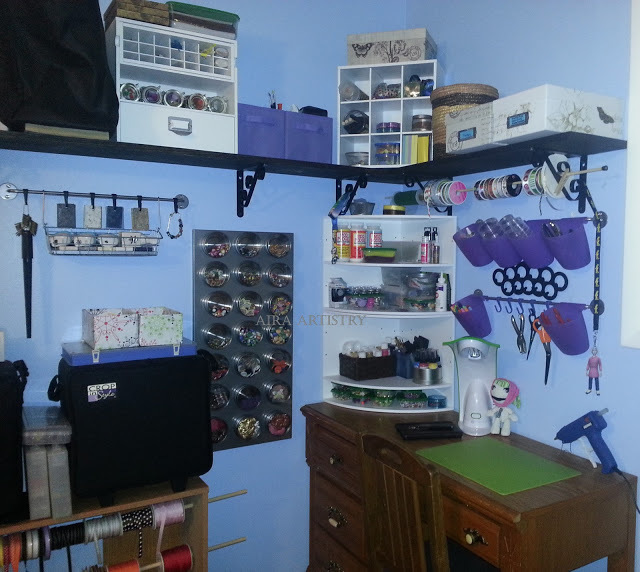 Thanks for reading through my crazy craft room organization project! All things Michaels: Wicker basket: part of a 3-pack of baskets. The blue glass jars were part of Michaels 2013 summer collection and I nabbed them on clearance. The silver tin held flower petals (which are on the bottom row of my magnetic board now) that were on clearance as well. (2 pack) from Target. They hold a LOT of tins! 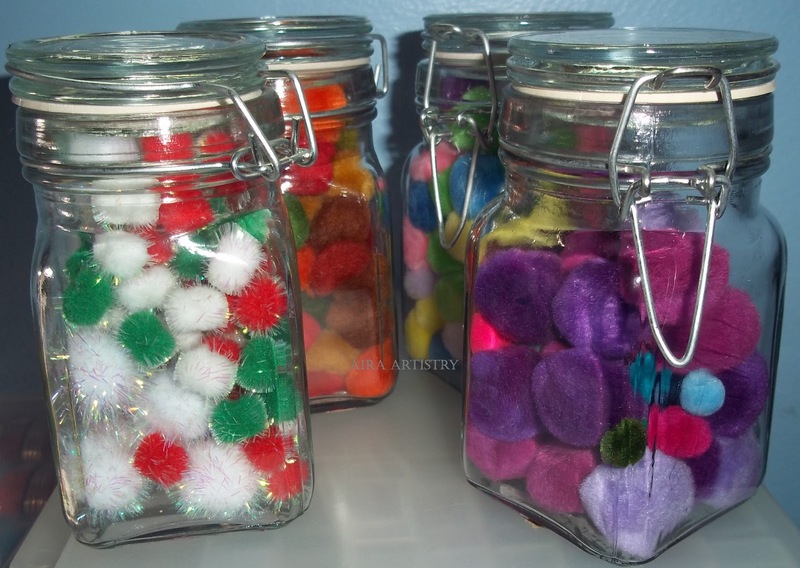 $1 apothecary jars from Michaels to hold pompoms. Next PostMore Unlock Goals Available at EverQuestNext.com!